Hiking the Balkans invites you to experience the heritage of which Macedonia is most proud – the old town of Ohrid and Lake Ohrid. 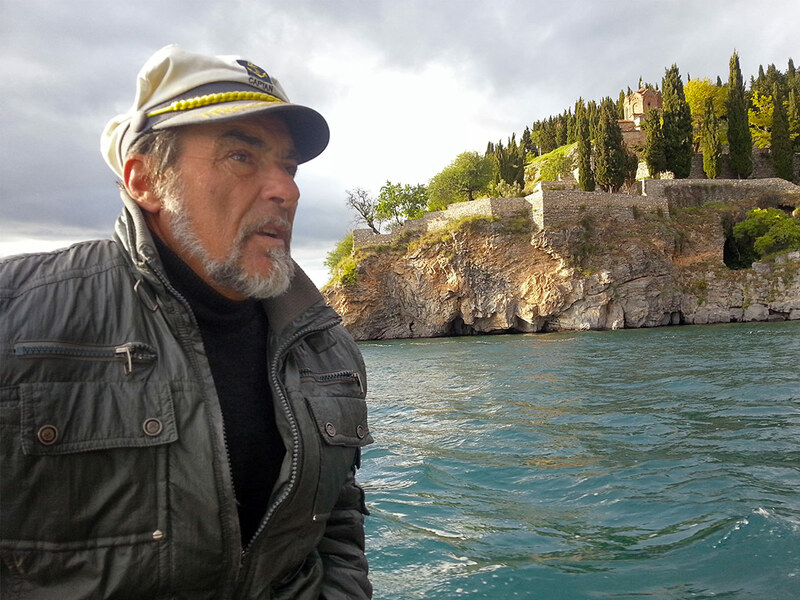 One of only 28 sites in the world which is protected by UNESCO on both natural and cultural grounds, Ohrid is a unique jewel. 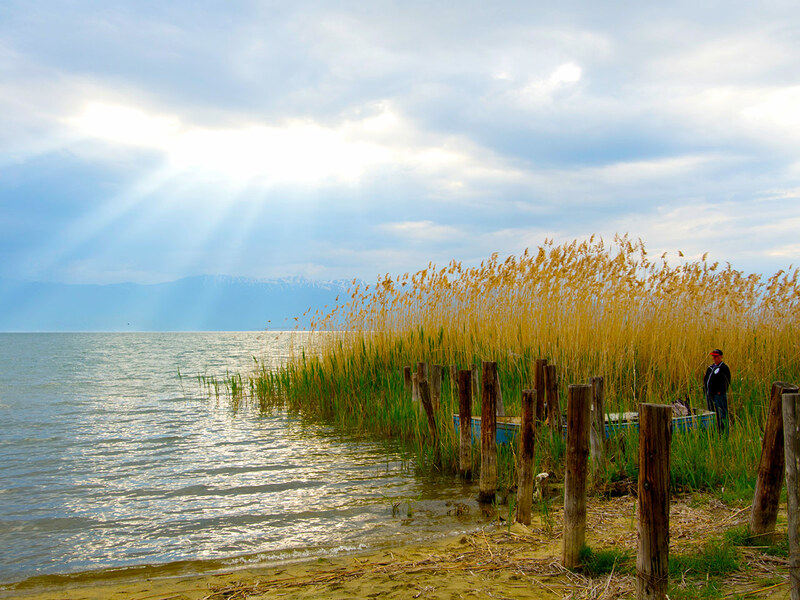 Lake Ohrid came into existence during an ancient geological period as a result of tectonic shifts, and is considered to be the oldest continuously existing lake in Europe, likely to have been formed three to five million years ago. Located in a tectonic graben, the lake is among the few lakes worldwide that have existed since the Tertiary period. Situated on the shores of Lake Ohrid, the town of Ohrid is one of the oldest human settlements in Europe. In 1979 Ohrid and its lake were placed on the UNESCO World cultural AND natural heritage lists. It is one of only 28 such sites in the world. Built mainly between the seventh and 19th centuries, Ohrid has the oldest Slavic monastery (Saint Pantelejmon) and more than 800 Byzantine-style icons dating from the 11th to the end of the 14th century. After those housed at the Tretyakov Gallery in Moscow, this is considered to be the most important collection of icons in the world. The town’s architecture, with its old streets and houses, makes it one of the best-preserved ancient settlements in this part of Europe. It is a cultural centre of great importance for the history not just of this part of the Balkan Peninsula, but of all nations that speak Slavonic languages, and indeed for world history and literature as a whole. 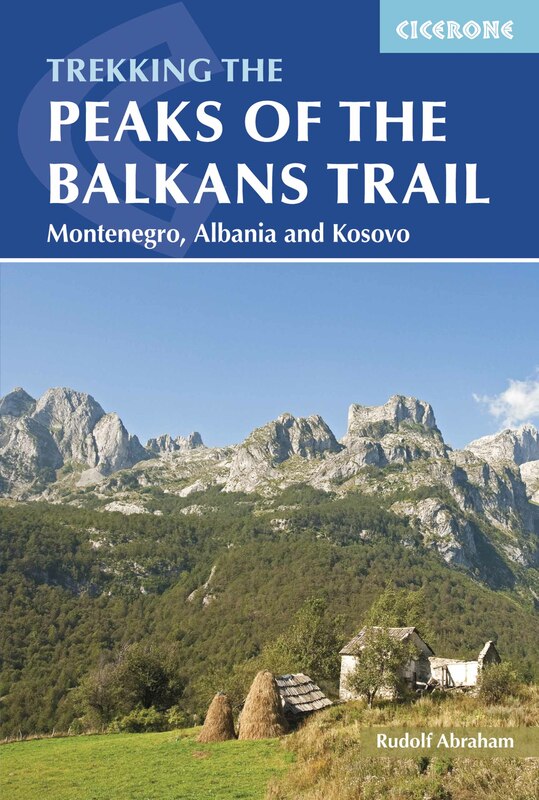 This city and its region, so rich in history and culture, are located in a natural setting of exceptional beauty, which is another reason why Hiking the Balkans is taking you there. With its numerous prehistoric sites and its traces of cultures dating back more than 5,000 years, Ohrid is indeed an archaeological treasure. One of the sites that we visit is the Bay of Bones, a reconstructed Neolithic settlement based on archaeological findings from the lake. Cultural sightseeing aside, we will stay true to our mission to take you hiking in the region. We will be going on a challenging hike, taking you over the Galichica Mountain between Lakes Ohrid and Prespa, climbing from 900 m (2,952 ft) to 2,255 m (7,398 ft), going along the mountain ridge for 8 km (5 miles) before descending 500 m (1,640 ft) to be picked up by a bus and taken for dinner on the shores of Lake Prespa via a picturesque mountain road. For most of the hike we will be able to see both lakes and enjoy stunning views. We will also experience the region’s natural beauty by doing a moderate hike on the last day on our way to the village of Vevchani, situated close to Ohrid. The village was founded in the sixth century by a Slavic tribe that adopted Christianity and is near the Via Ignacia, a Roman road that connected Rome to Constantinople (modern-day Istanbul). This hike is 4 km (2.8 miles) long, and goes through a forest, descending from 1,200 m (3,937 ft) to 900 m (2,952 ft) following the trail of the Vevchani springs. Day 1: We arrive in Skopje at midday and go to the city centre for a short stroll around the old town of the Macedonian capital. 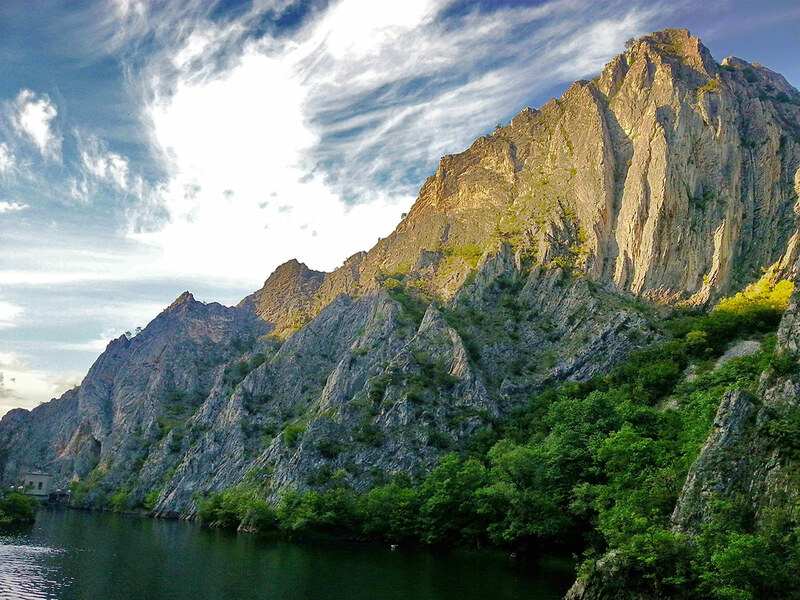 After lunch we head to the Matka Canyon on the outskirts of Skopje. There we can go kayaking and visit one of the many caves that comprise one of the largest natural underground cave networks in Europe. In the evening we head to Lake Ohrid for a stroll along the shore towards the old town, where we’ll have dinner and a briefing for the forthcoming hikes. Day 2: We go to the village of Velestovo, at 1,186m (3,890 feet), on the north-west side of the Galichica Mountain. After a half-day hike within the national park, our bus will take us to the shore of Lake Ohrid, to an open-air museum called Bay of Bones. The area was researched from 1997 to 2005 and the underwater archaeological investigation provided a rich fund of information on the life of prehistoric settlers living there. The remains of the settlement were discovered about 10 metres from the shore, and covered an area of about 8,500 m². The settlement was built on a platform placed on wooden planks attached to the lake bottom, and a wooden bridge was used to connect the settlement with the shore. The research uncovered the remains of over 6,000 wooden planks at the bottom of the lake, as well as numerous archaeological materials chronologically dated to the end of Bronze Age and the beginning of the Iron Age. Nowadays, with the reconstruction of the settlement, this museum on water sheds some light on the life of prehistoric people living near Lake Ohrid. 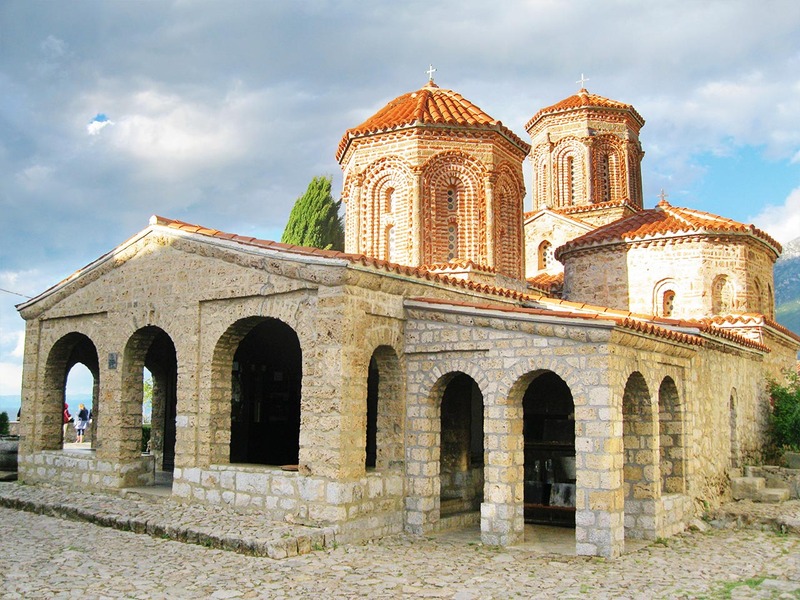 From here our bus will take us further south, to the very border with Albania, where we will visit the 11th century St. Naum Monastery, nestled amidst the serene springs of Lake Ohrid. This is a perfect location for a late lunch and a swim in the clear blue waters. Day 3: We have a full day of hiking – 7-8 hours. We will be climbing the Galichica Mountain (which is one of Macedonia’s three national parks) up to a peak from where you can enjoy an exceptional view. On one side is a full panorama of Lake Ohrid, while on the other side a lake almost the same size and shape appears – the Prespa lake. We will stop just long enough to admire the view and will then continue all the way down to the second lake, where we can swim in the cool and calm water and enjoy the beaches, which will certainly be empty at this time of year. The locals think it is “too cold” to swim in May. We’ll end the day in a local traditional restaurant and enjoy organic salads and barbecue dishes, washed down with local beer, spirits or tasty herbal teas from the mountain we’ve just climbed. Our minibus will bring us back to our hotel in Ohrid for the night. Day 4: We will have a guided stroll as we dedicate this day to exploring Ohrid’s old town – a UNESCO cultural site. The typical Macedonian bars lining the narrow cobbled streets and the illuminated Byzantine churches add to its charm. Our local guide will explain the mixture of Roman, Byzantine, Ottoman, medieval and modern influences on this unique town. In the evening we will have a wine-tasting session over dinner to familiarize you with four different Macedonian wines. Day 5: On the last day we go to the village of Vevchani, where we’ll have a half-day hike to some springs deep in the forest, at around 900 metres (3,000 feet) above sea level. We will be following a Roman road, the Via Ignatia, to reach the village, passing the remains of a Roman tower. After the hike, we will go for lunch in a traditional restaurant to try typical local delicacies such as stuffed peppers and baked beans. Traditional Macedonian food is hugely influenced by Turkish cuisine, and there are many vegetarian dishes. All salads are seasonal and are made with vegetables produced in the village. We will then head towards the airport to catch the late afternoon flight back to London. The price of this trip depends on the number of participants and the length of the tour. This trip starts in Skopje and ends in Ohrid. 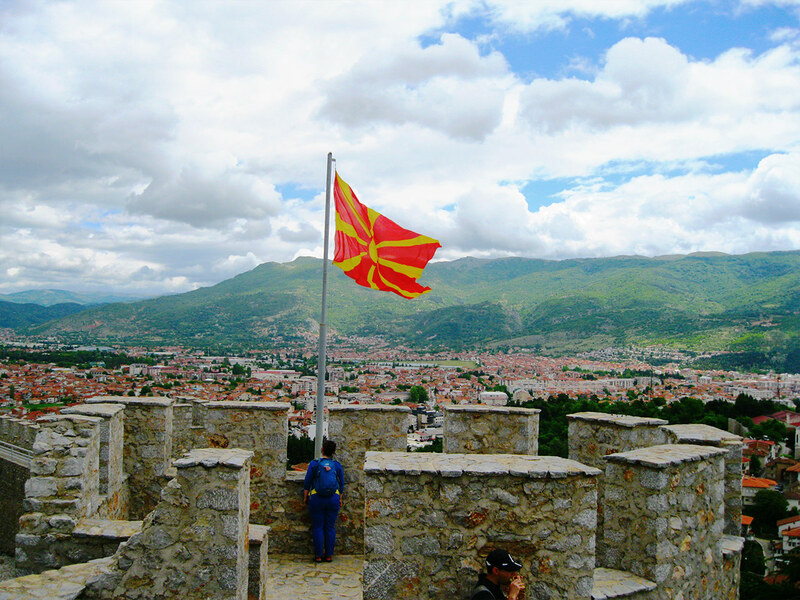 If there are no flights from Ohrid to your destination, we can adapt the trip to cater for a flight from Skopje. We can adapt the trip according to your choice of flights. Book early to get the best flight price! You can book this trip by clicking the BOOK NOW button on our web site or by sending us an email. Please book the recommended flights after you receive our confirmation of availability. We provide transport from and to the airport for the recommended flights only.